Cam Badder is a 25 year old graphic designer from Salt Lake City, Utah, and he is very different from the average young artist. Badder is the founder, CEO, and designer of his own successful clothing company, DEAD & FINE, a brand that offers apparel for everyone, from the “weirdos” to the Fleetwood Mac fans. Badder is a prolific artist, as well as a savvy businessman, and he is very proud of the up-and-coming company he built from the ground up all by himself. 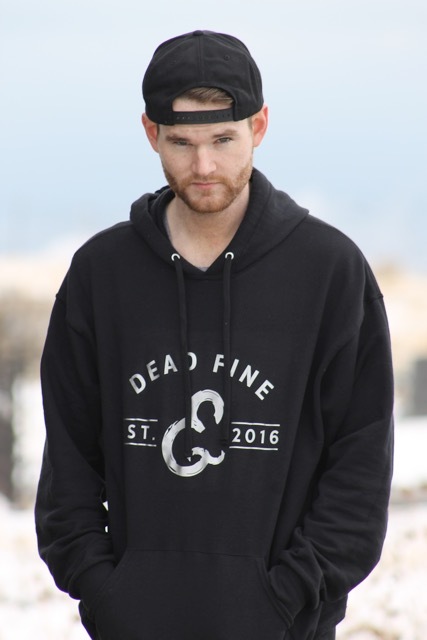 How long ago did you start up “DEAD & FINE?” What made you want to create your own clothing company? Badder: "I officially started and announced DEAD & FINE in October of 2016. I’ve always known I wanted to start my own clothing line since I was in middle school. I remember being so fixated on all the 'underground,' 'edgy,' 'unfamiliar' brands, the ones that none of the other kids knew about. I was the kid that was always wearing the clothing brands that none of the other kids had ever seen, and I loved the idea of that. From then, I had decided that I would want to create that clothing line. I wanted to create pieces that other people were going to see on someone else and think to themselves, 'Oh, I kinda dig that, but they didn’t get that at the mall. They must have gotten it online or from overseas.'" What does “DEAD & FINE” mean? Badder: "DEAD & FINE is the simple idea to remind [people] that everyone is struggling with something, whether it be a sickness, a loss [of a loved one], a breakup, depression, or anxiety….it is no one else’s place to tell you how you should feel." What are some of the struggles of running your own brand? Badder: "I’d have to say [organizing] the content and material that I come up with. Half of my work is set aside for pieces that’ll mesh better with [other] certain pieces of artwork, or they’re set aside because they are pieces I assume won’t gain much recognition from my brand’s following." Badder: "In my opinion, the most rewarding thing is seeing people from all over share photos of themselves, mostly on Instagram, wearing their Dead & Fine gear using the hashtags #deadandfine & #deadandfinefam. That’s the most exciting thing for me to see, all these beautiful people from cities in the U.S. I have never even heard of wearing the designs and items I produced! They wear them proudly, and eagerly share photos of themselves wearing my work! That is more than just a reward to me. It has also been very rewarding receiving all customer feedback. I’ll receive personal 'thank you' letters in the mail and email, [as well as] direct messages on Instagram, Twitter and Facebook, all saying how stoked they are with their new items. They thank me for my personalized letters that I include in all orders, and knowing they love those letters as much as I love writing them is so gratifying. To me, that is very, very rewarding." How do you market your brand? What are some of your advertising strategies? Badder: "Honestly...social media. As cliché as it sounds, I have built my following on the DEAD & FINE Instagram account (@deadandfine). I’ll share any news, new items, promos, flash sales, etcetera [on there]...and although many believe hashtags are a waste of time, I strongly disagree. I search so often on Instagram for specific things using specific hashtags. I know I’m not the only one, mainly because the hashtags I use make or break my posts. I’ll get a lot of attention using the right hashtags, and I’ll never use a tag that has no relevance to my brand or the post itself. I also use keywords on my website in the product’s description; those specific words used reach an audience as well. I’ve been told several times by my customers that they googled 'alien hat,' 'coffin shirt,' or just the word 'dead' and they stumbled upon my website. It’s great knowing these strategies have been working for me. I also get help through a good friend, Hayley Douglas, owner of Earth Play (@earthplay333), who is a marketing major. I’m sure that in the future, hoping that things progress, I’ll have more meetings with other marketing professionals that will help me reach my marketing goals." What is your vision for the company’s future? What are some of your goals? Badder: "Well, since it’s only me running the full show at the moment, I plan to continue working hard, making great connections, and meeting wonderful people. [I’m also focused on] getting Dead & Fine more recognized and gaining a larger following. I also have goals to get some backup support with the production of the products so that I can focus more on the main part: the designing process. It’ll be nice to have a little team to help me with the production of all DEAD & FINE items, especially since one of my biggest goals is to expand the variety and range of DEAD & FINE items. 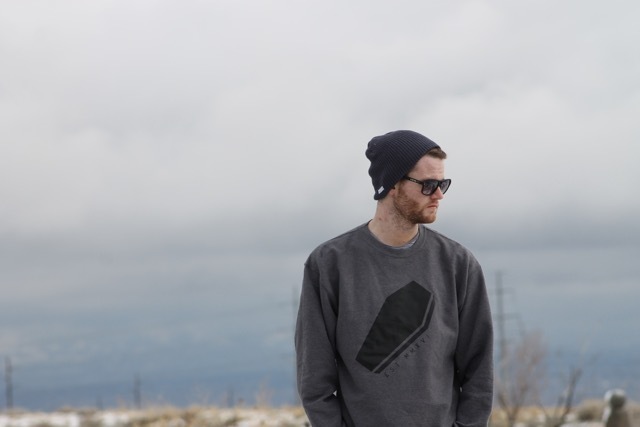 [Also, I want to] eventually be able to have so much content and designs to finally release an actual collection. I’m really pushing for this fall/winter." What advice would you give to someone that wants to start up their own business? Badder: "Don’t waste time holding back. I spent years [feeling] discouraged to [create] DEAD & FINE. Have a main focus, decide on your logo and brand name, and connect with others in the 'owning a small business' community to help inspire your ideas. Then start putting those ideas into actual production. Starting small is the only starting point. The quicker you start, the easier it gets to want to keep working towards your brand. I was driven 100% after the first five positive comments on the first shirt I made. Plan out products, have your back story, advertise anyway you can, but trust social media. It plays a huge part in spreading the word and getting your products out there." Badder: "My story is no success story by any means, but if you are interested in starting your own business, I hope this article has given you enough information to understand my own personal experience in starting my own business, DEAD & FINE. It has been an amazing start to my brand’s journey, and I’m still driven to grow it and succeed."